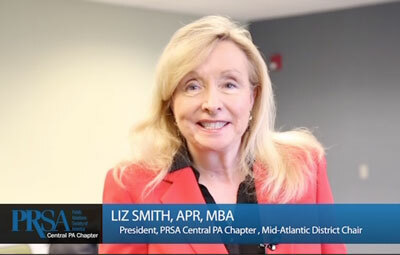 The PRSA Mid-Atlantic District is hosting an APR Boot Camp April 10-12 at Harrisburg University in downtown Harrisburg, Pennsylvania. Why register for the APR Boot Camp? This course is designed to provide a setting that will meet the needs of busy professionals whose schedules don’t permit extensive preparation time. Liz facilitates the Readiness Review preparation (Day 1). Jason S. Kirsch, APR, senior counselor, PRworks, facilitates the computer-based Examination (Days 2 and 3). Amy Beisel Hill, APR, director of advocacy and public policy, Central Pennsylvania Food Bank, facilitates the computer-based Examination preparation (Days 2 and 3). What will the APR Boot Camp cover? Day three: Morning preparation session for computer-based examination, afternoon computer based exam at the Prometric Testing Center in Harrisburg, Pennsylvania. 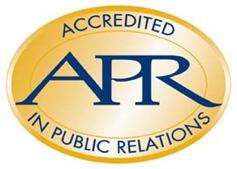 Please note: There is an additional $385 fee to take the APR exam; however, those fees are at least partially reimbursed by PRSA National, pending successful completion of the exam.